Hello Edmonton! We are very excited to introduce CBWN, Connected Business Women Network, to the city of Edmonton. My home town. We are proud of the relationships and networking forums we have developed with business women in Calgary. We look forward to providing the same experience in Edmonton. Hello Edmonton! Glad to be coming to your great city where I too have family and friends! 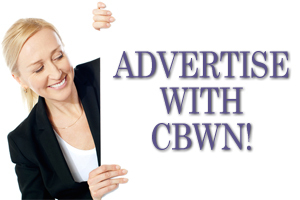 We at CBWN are excited to be offering our inclusive membership-free women’s networking group to the Edmonton area. Our warm and flexible approach to networking has seen our group grow to include day and evening meetings, educational seminars, as well as some amazing collaborative partnerships with national newspapers, industry related magazines, educational institutions and other networking groups. We are eager to share our approach to women’s networking with Edmonton and looking forward to meeting YOU to introduce you to other collaborative partners and grow yourself and your business. See you in May!